Speaking exclusively to Indianautosblog.com, Puneet Anand, Sr General Manager (Marketing), Hyundai Motor India Ltd. revealed that the new Hyundai Santro is underpinned by an updated version of the Grand i10's BA platform. The 2019 Hyundai Santro will be sold in seven paint options – Silver, White, Blue, Red, Green, Grey, Beige. 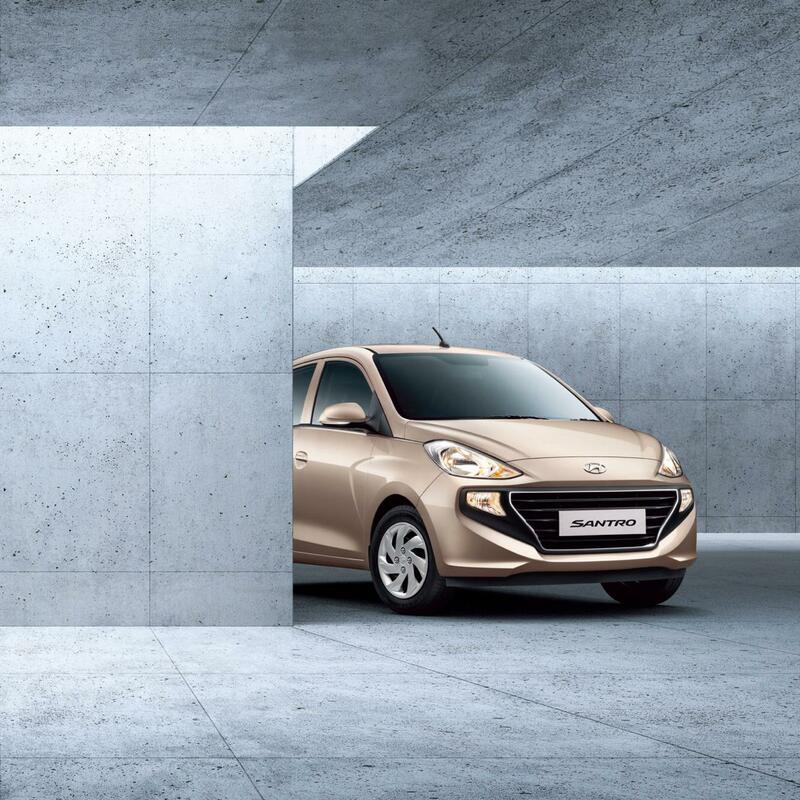 Hyundai Motor India Ltd (HMIL) has used 63% Advanced High Strength Steel (AHSS) and High Strength Steel (HSS) in the construction of the new model's platform. 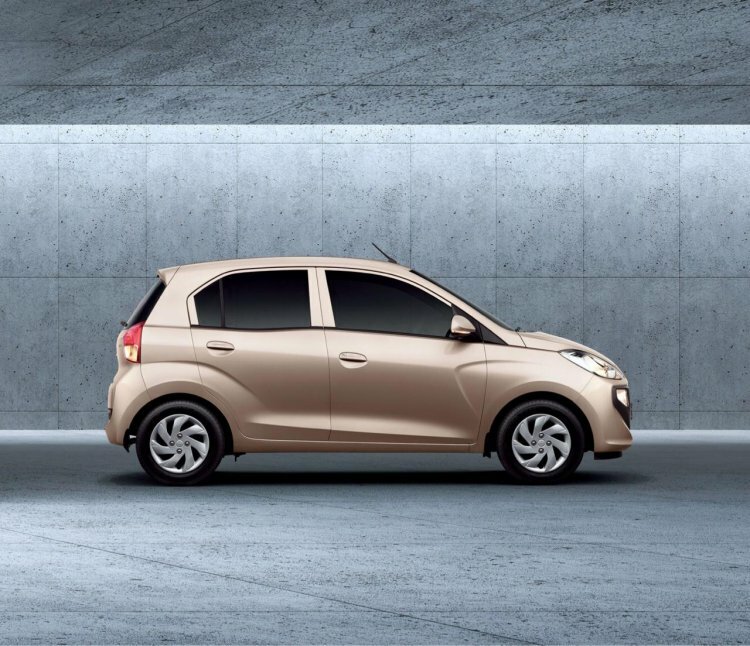 The new Hyundai Santro measures 3,610 mm in length, 1,645 mm in width, and 1,560 mm in height. It has a wheelbase of 2,400 mm. The company claims that the new model provides 62 mm and 16 mm higher legroom at front and rear respectively. The new Hyundai Santro is powered by a 1.1-litre, four-cylinder petrol engine that outputs a maximum power of 69 PS at 5,500 rpm along with a peak torque of 99 Nm at 4,500 rpm. Transmission options include a 5-speed manual and a 5-speed SmartAuto AMT gearbox. The car has a claimed top speed of 150 km/h. Going by the company figures, it can accelerate from 0 to 100 km/h in 14.5 seconds with a manual transmission and 16.6 seconds with an AMT. The CNG variant outputs a maximum power of 59 PS and a peak torque of 84 Nm. It has a claimed fuel efficiency rating of 30.5 km/kg, while the petrol version's fuel economy is rated at 20.3 km/l. The 2019 Hyundai Santro should have a starting price of INR 3.7 lakhs. It will launch on 23 October 2018. The 2019 Hyundai Santro will offer a few first-in-segment features, like touch-screen infotainment system with Android Auto, Apple CarPlay, iBlue and Voice Commands. Prices of the new model are likely to start around INR 3.7 lakhs (ex-showroom). It will be available with a 3 Years/100,000 km warranty and 3 Years Road Side Assistance.